I’ve been tagged. Now it is my turn to tag some of you. Here is what this blog hop is all about. There are the books everyone has heard about: Twilight, Hunger Games, and Fifty Shades of Gray. But what about all those books written by people you’ve never heard of? Some of them are treasures, just waiting to be found, and that’s what this blog hop is all about: the books you might not have heard about, but that you might end up loving. The Next Big Thing Blog Hop interviews authors and shares their books and coming attractions. It is like a game of tag. One author posts and tags other authors who link back to their website the next week and tag new authors. If you follow the blog hop long enough, you’re bound to find some books you’ll love! Maybe you’ll even discover a book that ends up being the next big thing. Jean was tagged by Dr. Par Donahue. You can learn more about his books, Messengers in Denim, and his next release,Tools for Raising Kids of Character on his website. A family doctor, he worked when doctors made house calls. 1. What is the working title of your new book? The Art Taking Control of Your Mad, Sad, and Bad Feelings: An Emotional Fitness Training® Program. 2. Where did the idea come from for the book? Two sources: First, my professional training and career as a mental health professional. Second, the fourteen years I stopped being a mental health professional and became a special need foster parent. Very little of my professional training helped me at first. I had been trained in talk therapy, which didn’t work with our foster children who were all teens and in trouble with the law. What did work was a behavioral approach combined with the talk therapy, but to make that work, I had to learn to handle my negative feelings appropriately. Emotional Fitness Training® was born and first described in my book Parents Are People Too, An Emotional Fitness Program for Parents. My main fame is as a parent advisor, but everyone needs emotional fitness. We all know anger, sadness, guilt, shame, despair, hatred; feelings that seek to oven the book is for everyone. The movie would probably be the re-telling of our years as foster parents. Those years are described in my first book, When Good Kids Do Bad Things. Here is what we looked like then. The book would be told in flashback from the viewpoint our aging selves. May to add some spice perhaps a former foster child is blaming us for all his life’s failures and is sending threatening letters from prison. We are in the process of trying to defuse his anger, when we are notified by the police he has broken out of jail and is planning on killing us. Does he? Or do we heal his hatred? Don’t know yet. Who should play our parts? David has a definite Paul Newman look. I have always wanted to be as spunky and daring as Katherine Hepburn type. 5. What is the one sentence synopsis of your book? You can own and control feelings, or be owned and controlled by them; this book’s emotional fitness program teaches and strengthens the skills needed to control all bad, mad, and sad feelings. 6. Will your book be self-published or represented by an agency? It will be published by MetaPlume Corporation. 7. How long did it take you to write the first draft of your manuscript? 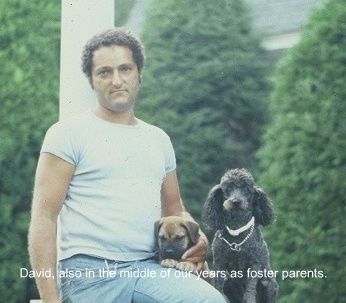 It has been written in bits and pieces since we became foster parents in 1974. Publication will begin with various stand-alone short eBooks exploring the concepts and exercises of Emotional Fitness Training such as Self-Soothing, Missions and Goals, Creating and Using a Personal Feeling Thermometer and Acting Wisely. These will then become chapters in a complete title. The short eBooks will start to become available in March 2013, and will be available in over 90 countries via Amazon Kindle, Smashwords, Barnes & Noble, Apple iBookstore and Kobo. The publication of the entire book is planned for September, 2013 and it will retail via the same sales channels and in addition will be available in paperback. In theory it is probably closest to Jerome Kagan or Daniel Goleman’s idea. As a more readable book, Cheaper by the Dozen leaps to my mind or Steve Martin’s movie, Parenthood. If the story for a movie, more like Jonathan Kellerman’s thrillers. 9. Who or What inspired you to write this book? My foster children and my life with them. At the same time, I also was inspired by the parents and youth I worked with when I directed a family based mental health crisis team located in one of the poorest community districts of New York City – Mott Haven. 10. What else about your book might pique the reader’s interest? The idea of being in control of all negative feelings. Each chapter provides easy to practice exercises that almost immediately reduce the power of negative feelings and the quality of your life improves instantly. Fiona Gatt of MetaPlume. I picked her to serve as the model editor, coach, and mentor for wannabe authors. She is a wife, mother, writer, artist, Alpaca Raiser, a Wonder Woman. I try her patience lots, but she never tries mine and is always a source of support and hope. Metaplume has a Facebook page, so visit there and be sure to like it. Quinn and Jon, a husband and wife team, who moved to Nicaragua seeking not just adventure, but a way to improve our world. Their story needs to be told in a book and this is my way of prodding them to start that book now. In addition to their blog Life Out of the Box, they are on Facebook. Fellow Social Worker and Parent Advisor Ray Ericson. Ray did a guest blog on my site. He is a tough/soft love groovy guy, who meets my criteria of being on everyone’s side, not just the kids, and knowing being tough matters as much as being loving. His blog, Just Ask Ray offers solutions that have been tested in his thirry years of practice. Suzanne Joblonski – Advocate for all troubled children and harassed parents. 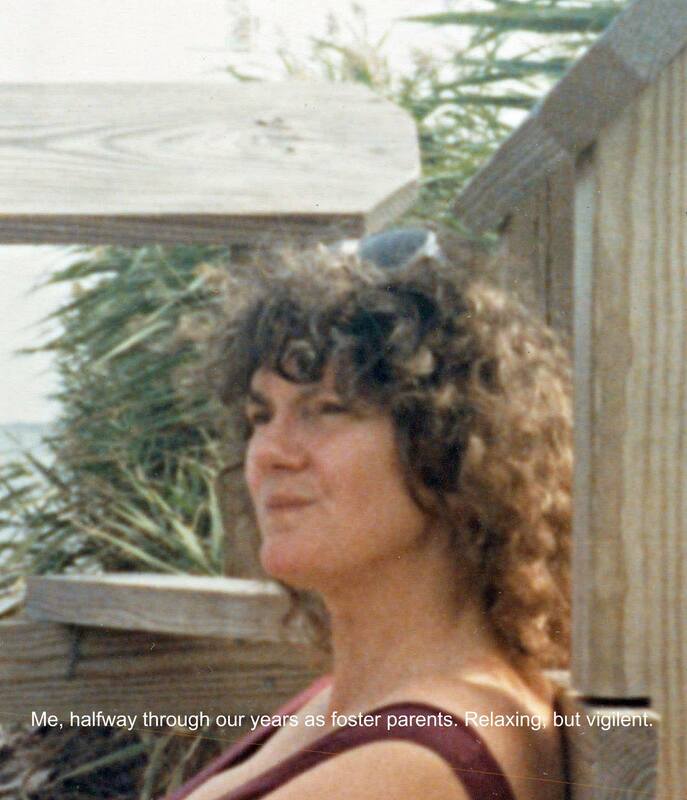 I first got to know Suzanne as a parent advocate when we both worked at the Mental Health Association of New York. As with so many, she is an amazing woman, a survivor of many life blows who remains dedicated to helping others. She needs to write a book, not just blog. I hope this pushes her in that direction. Her blog Crossing One River to Another is about her move from New York City to New Jersey, but is most active on Facebook. FINALLY A BLOG ROLE: I have been remiss in crafting a blog role. Being on the blog hop has inspired me to create a page dedicated to the people, blogs, and group. Not quite the traditional blog hop, good enough one. Now I am posting this as a page on my Emotional Fitness Training Blog; it wider and more seeping in scope than parenting. You can link to it here. This entry was posted in Parenting Issues and tagged A Community of Helpers, Authors, Blogging, Jean Tracy, Marketing, parenting, Publishers, The Next Greatest Think Blog Hop, Writers. Bookmark the permalink.